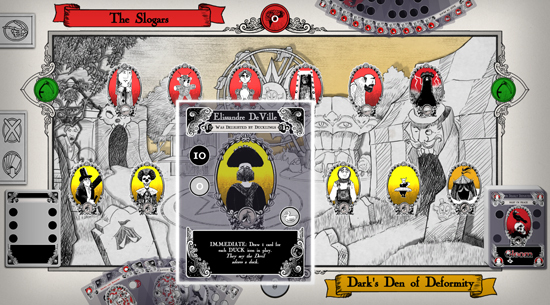 The digital release of Gloom, the deck-building game that challenges its players to outmatch their opponents in depressive spectacle, vying to undergo the most miserable mishaps while sabotaging the competition with happy occasions. Gloom will slouch onto Steam in March 2018. The game will be available on tablet platforms later next year.